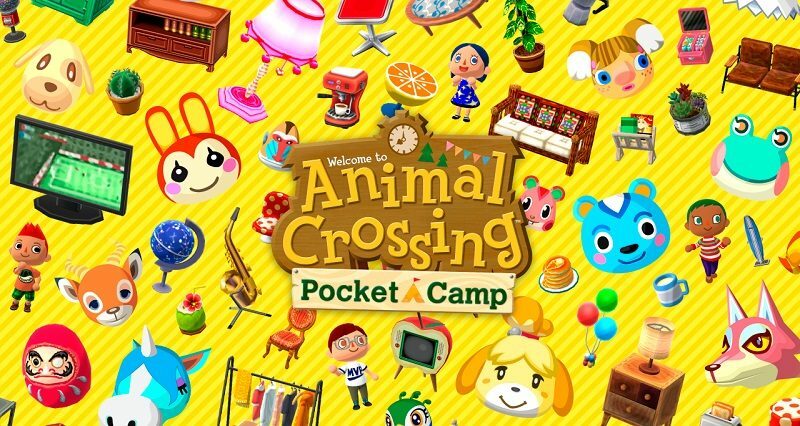 Today, out of the blue, Nintendo released a brand new Software update for Animal Crossing: Pocket Camp, bringing the game to Ver. 2.3.0. 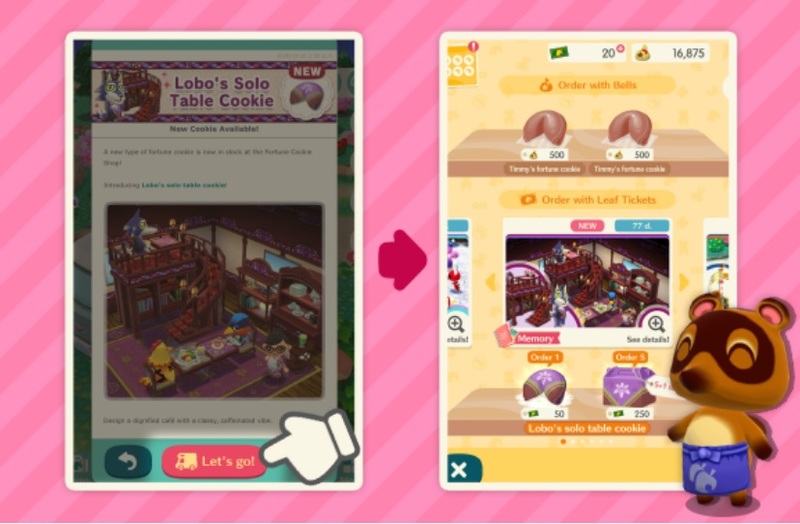 This new update brings various new features and improvements, including Reissue Crafting, a Let’s go button for notifications, another inventory size increase, and more! Did you miss an event? No problem, you can now craft items from previous events via the newly added Reissue Crafting option in the crafting menu. The first round of Reissue items will be available from April 10th. Notifications have been powered up! Now, you will find a Let’s go! button at the bottom of some of them, and tapping on it will take you directly to the relevant section of the game (for example: the Fortune Cookie store for notifications about new Fortune Cookies). Of course, not all notifcations get that button: it’s only displayed in those that need it. 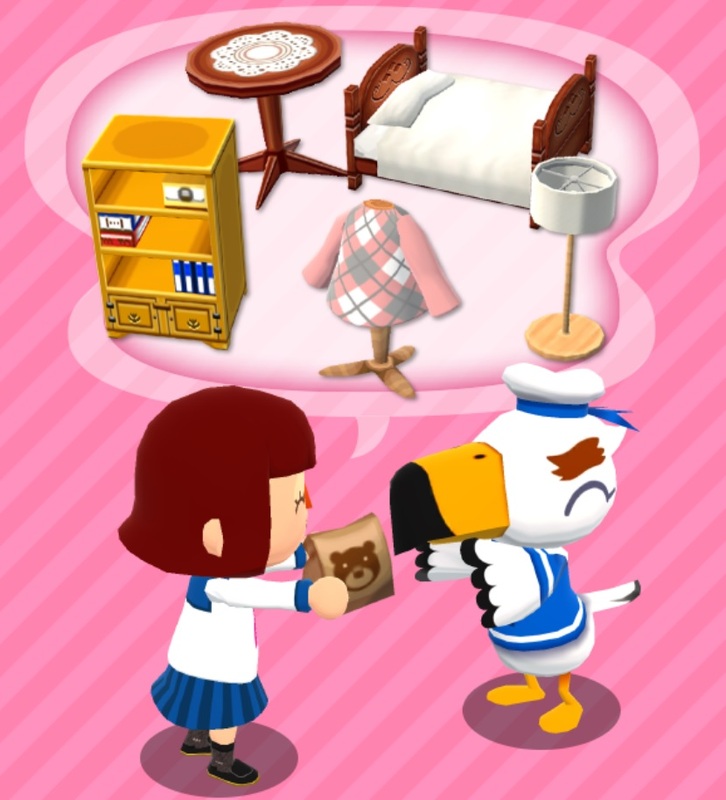 This update made giving items to Gulliver faster and easier. By the way, the developers are currently working on ways to further streamline the game in future updates. This new update increase your max inventory space for collected items, though only after reaching certain levels. Of course, if you’ve already reached one of those levels, you will automatically get the inventory increase without having to do anything. Also, the max inventory space you can get from Leaf Tickets has been bumped from 500 items to 700 items. 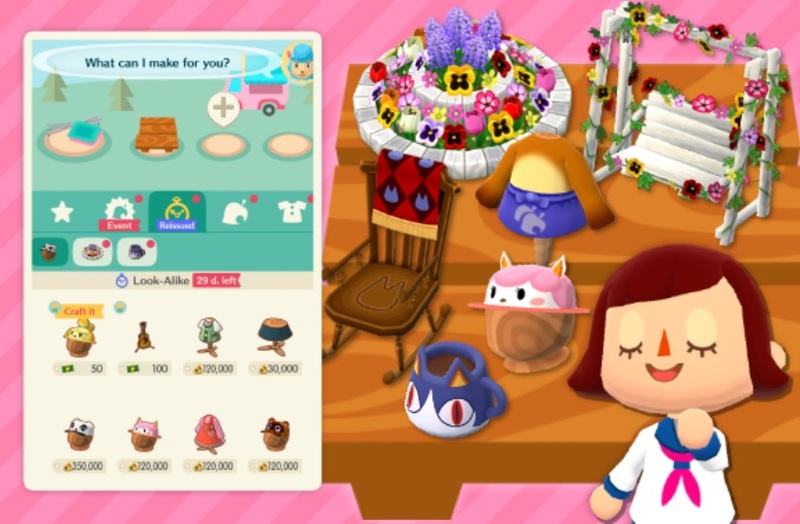 As usual, keep an eye on the Events and Content Updates page to keep up to date with all that’s happening in Animal Crossing: Pocket Camp!